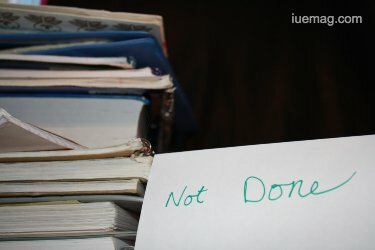 "I will do it later" - Who doesn't relate to this phrase? All of us do. None must continue relating forever though. Of course, this is easy said than done but inevitably needed for a quality life. Read ON! How often do you say this one phrase can literally decide your bank balance, relationship strengths, credibility, status in society, experiences in life, Education levels, your position in life, your skills, talents, abilities & so much more. One powerful phrase that can literally make or break your fate in almost everything. You have an issue or a problem at hand & you say, "I will do it later" or "what's the urgency?" & you have prolonged a situation or for sure worsened it, for, it won't remain the same. The quote that would hit the nail in the head and sound like getting the bulls eye here would be "Situation shouldn't make it urgent for you to get addressed at any point, your urgency must change your situations for maximum growth possibilities in life!" - Sujit Lalwani. Most mediocrity in the world is a result of this & anything lesser is a result of highly reinforced & well applied "I will do it later" ability. An issue in home appliances that needs attention, we keep postponing until it's really urgent in the name of budget or just over shadowing list of priorities. An issue in a relationship we procrastinate until the communication gaps are high enough for point of no return. A relocation plan finds millions constraints & hence never really happens. Investment decisions to new purchase thought processes or something as small as reading this article after finding this link finds the first thought "I will do it later, right now I'm into "this"" & the later never comes. Does this need to be solved or addressed or its absolutely fine to have this as a part of our culture or habits? Yes, it needs to be addressed. It needs to be altered, it needs to brought down on scale of application in life, it needs to be resisted with "What does it take to do it now or today?" "Can I do it today?" "How can I get this through on next 48 hours?" "Let me add it to my immediate to-do & get this through on priority" "Just do it now!". This would tremendously change the experiences we draw into our lives, enhance the quality of our relationships, approach to work, money, lifestyle etc & being us into realms of glory that this one life deserves. “Only put off until tomorrow what you are willing to die having left undone” - Pablo Picasso. Didn't he say the most apt thing ever? The simplest approach to resolving this is to first not every single time you say "I'll do it later" "i will do it tomorrow" "what's the urgency?" And look at all the things you said it for in a week & then analyze which of them truly could have done immediately and you simply don't know why you procrastinated it (don't get scared - most often people aren't aware why they procrastinate, they simply do & later justify!"). Once you are aware the goal of second week is to use the resistive force with the statements listed above "What does it take to do it now or today?" "Can I do it today?" "How can I get this through on next 48 hours?".. & more & actually take immediate action to complete it. Third week must include rewarding yourself for second week & further continuing your self check part where you end up saying "I'll do it later" & applying the "immediate action" rules. In about 6 weeks of this cycle of self check, resist & correct, reward yourself & repeat again, you would reach standards of self confidence, self esteem, growth & better living standards in all aspects that you would never look back and say "what was the point of having applied what I learnt through that article right then & there?". So simply go ahead & get aware of your "I'll do it later". Feel like commenting on this piece? Don't say "I'll do it later" sub consciously & justify to yourself "it wasn't necessary!". Your views matter, your story around this counts, share it here. We shall look forward to staying in touch with you. Wishing you the best of growth & least of "I'll do it later" syndrome. Any facts, figures or references stated here are made by the author & don't reflect the endorsement of iU at all times unless otherwise drafted by official staff at iU. This article was first published here on 14th October 2018.